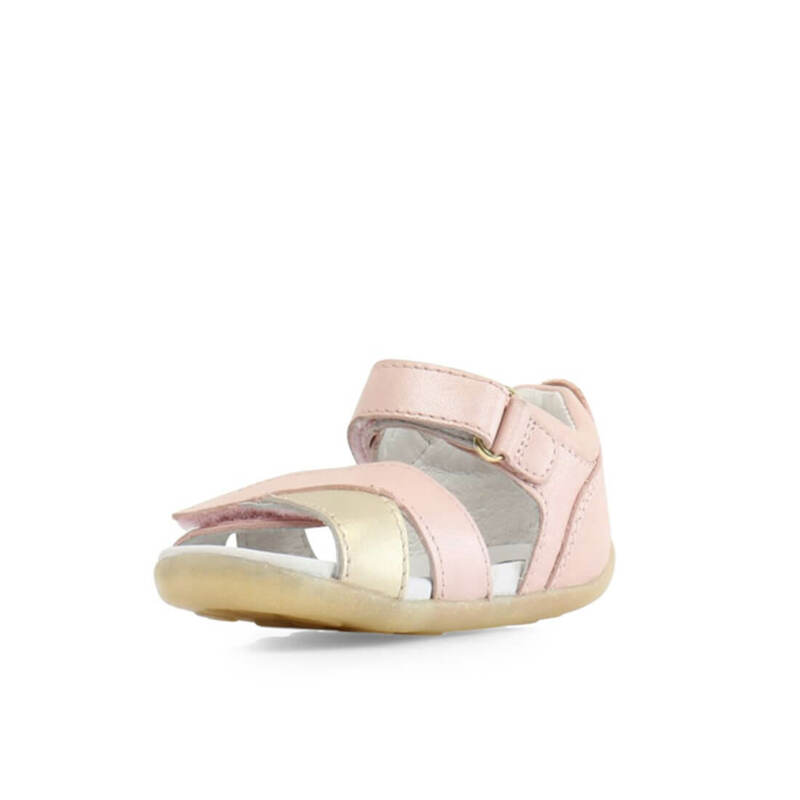 The Bobux Sail Sandal in the combination pink blush and gold leather is cute for any mini fashionista in Summer. 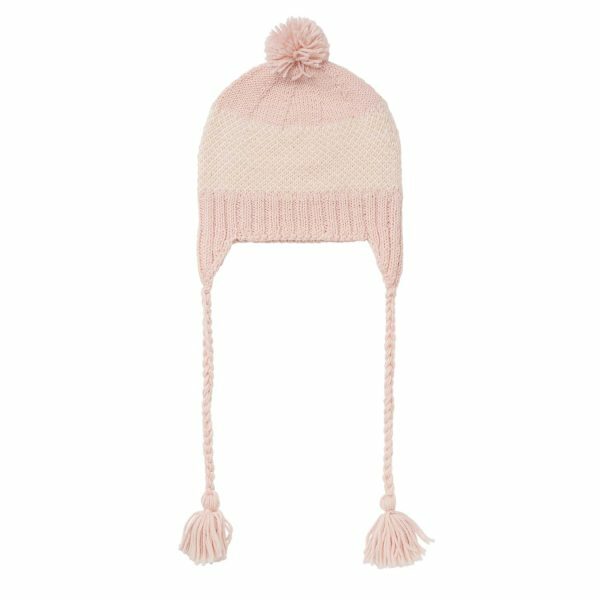 She can wear them back with denim shorts, jeans or a plain white dress and they will add vibrance and flair to any outfit. But don’t be fooled, these stylish kicks are full of form and function, packed with premium materials and comfort features to make them great for everyday wear. 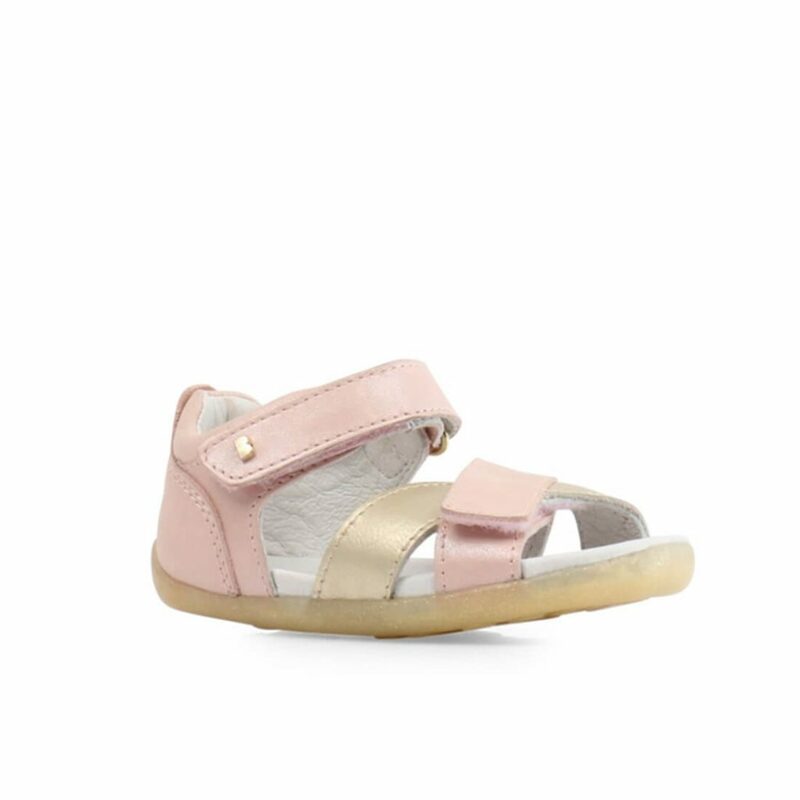 Bobux have designed a perfect sandal for the little toddlers aged 9 months to 2years. 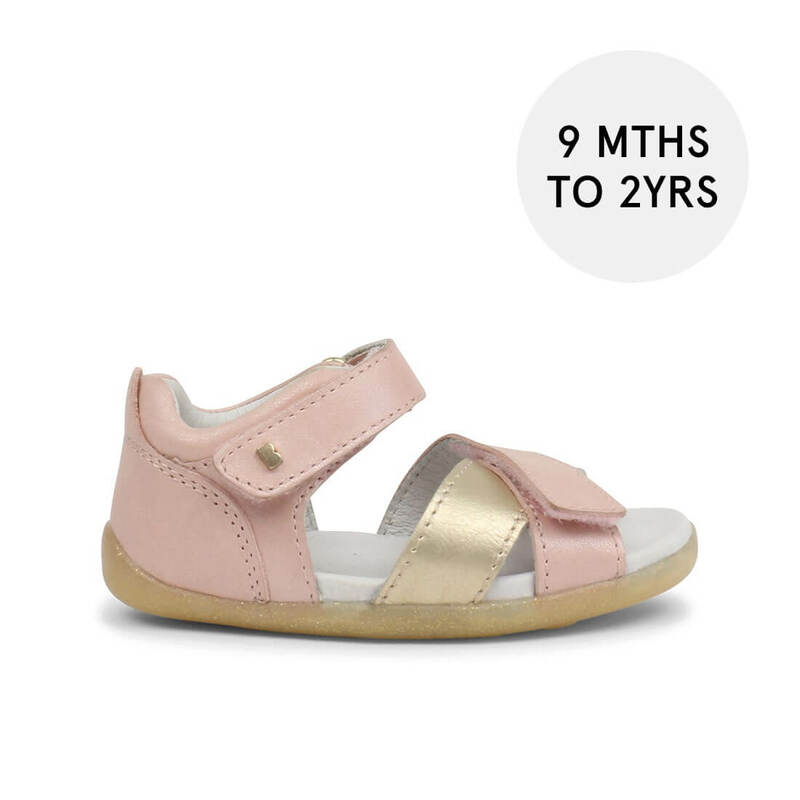 This sandal has a closed heel counter to provide extra stability and support for toddling, walking and eventually running. 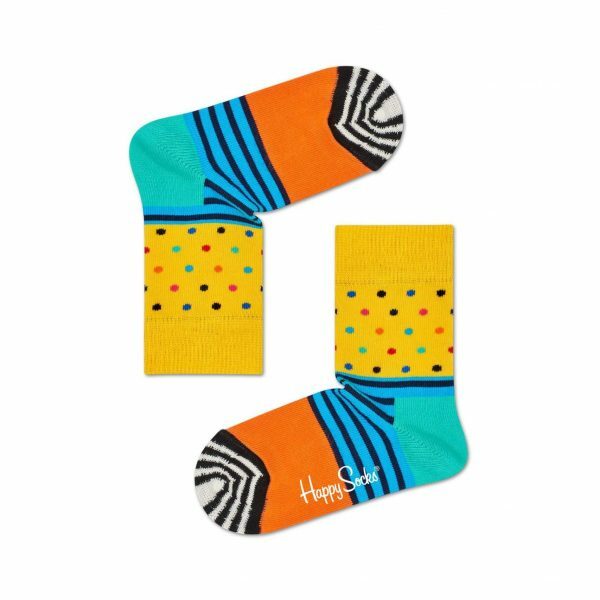 However, what’s clever is that they have the side panels and front toes cut out for maximum breathability during the hot months of the year. The adjustable two strap closure around the ankle and across the foot ensures an easy process to get them on and off. Fit: The high adjustability of this shoe with the two straps means it is suited to feet that are narrow, average or wide. 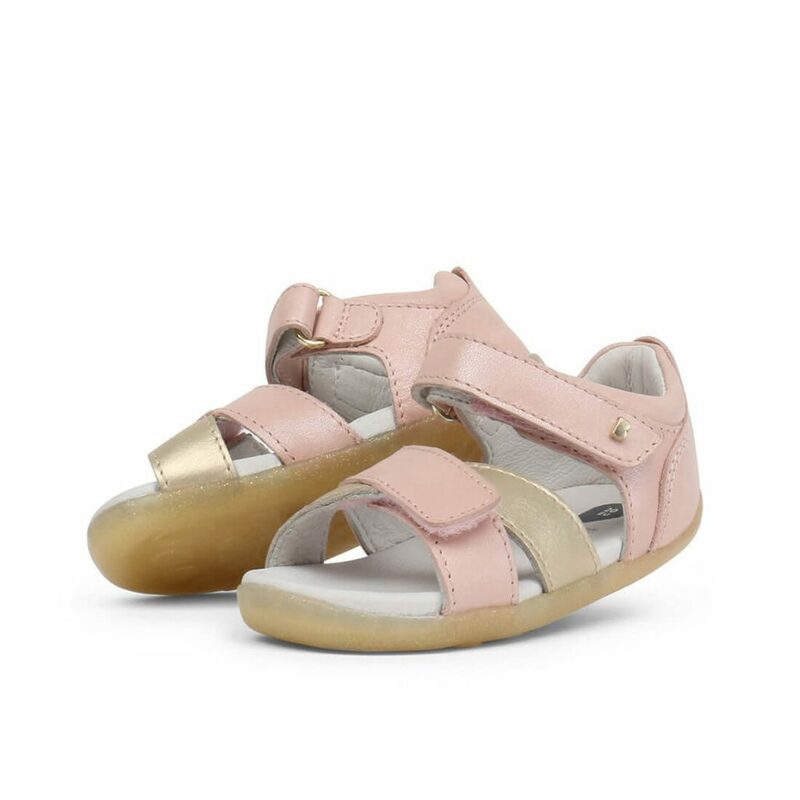 Making a cute statement, the Bobux Sail sandal’s blush pink leather straps are contrasted with a metallic gold strap across the toe. Materials: The leather used in these sandals is hardwearing but also ultra-soft. The padded heel gives extra comfort. The upper and lining is all 100% leather. The sole is rubber and is flexible, plus durable. 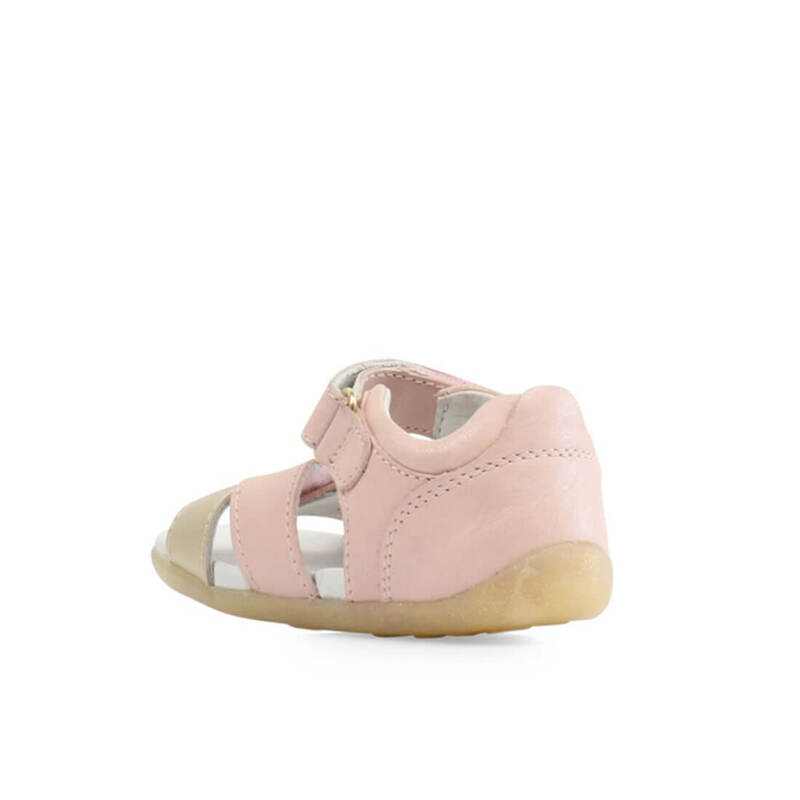 Recommended age: These shoes are suited to first and early walkers.